Scales of Change, 2012-2016, dye diffusion transfer. 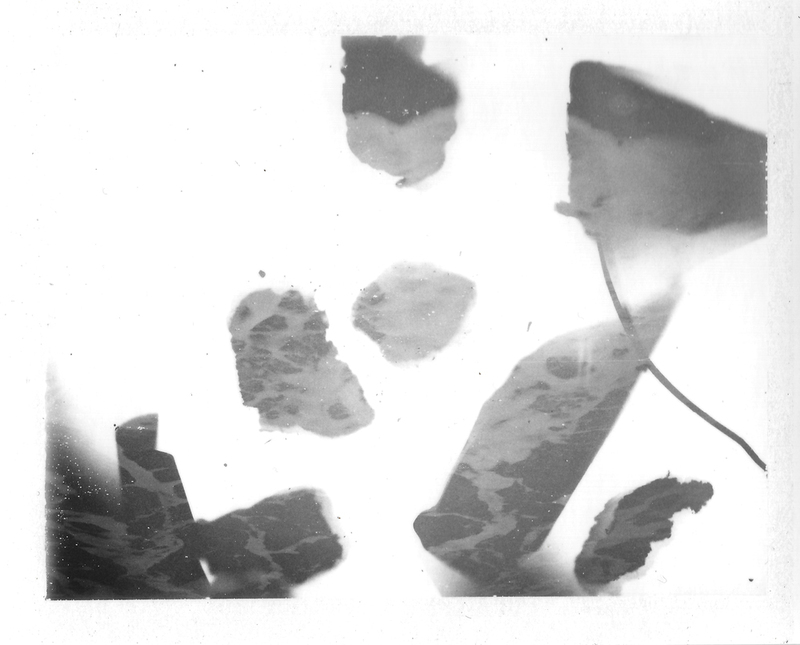 I photographed mountain peaks around the San Francisco Bay and Sierra Nevada Mountains with Fuji FP100C instant pack film, this is a peel apart instant film with ten photos in each pack. For each peak I located a scenic overlook, took a photo, then took a photo of that photo, I repeated this process until the pack ran out. The peak slowly recedes into a hole. I walked along the beaches around Northern California collecting plastic that washed up on the beach. 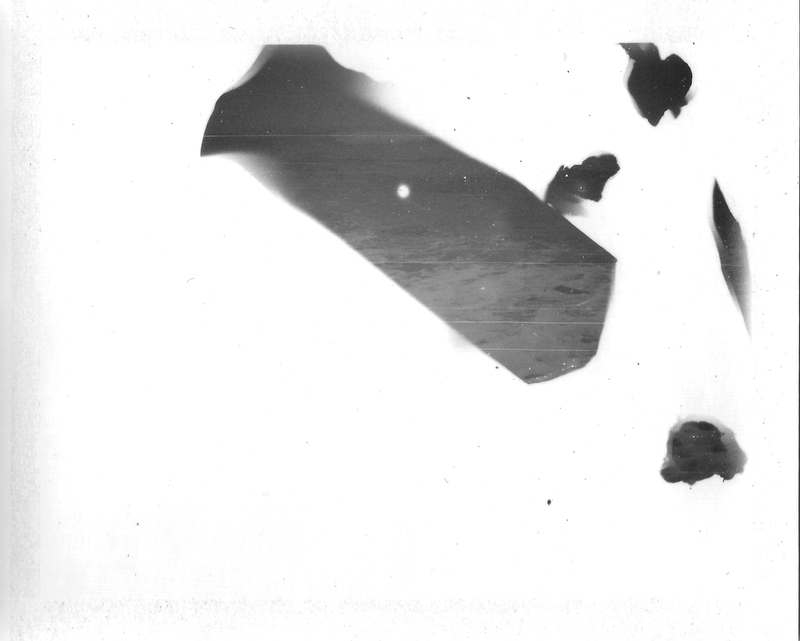 I dropped this plastic onto Fuji FB3000 black and white film, in a darkroom then exposed the film with Uranium ore, creating a photogram of the plastic. 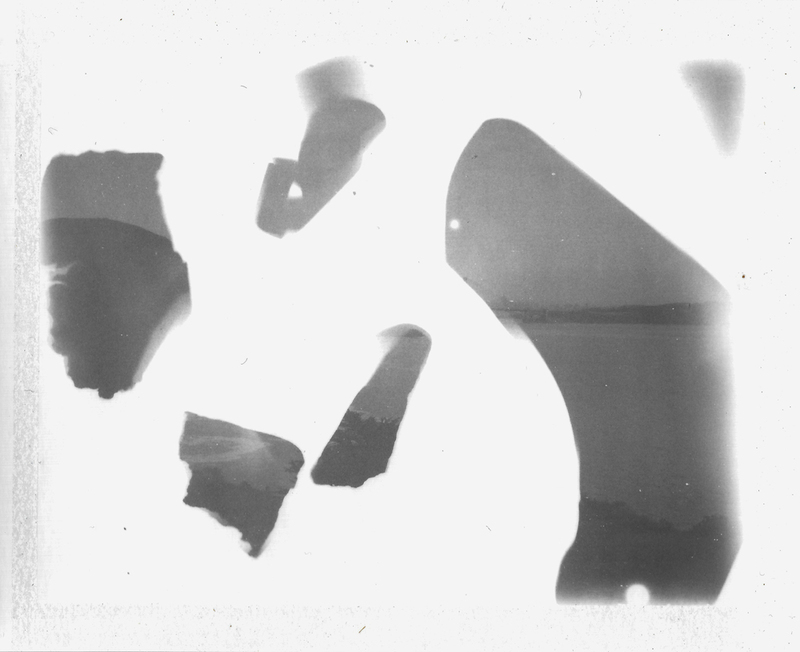 I put the film back in a camera and took a photograph of the coast.